Since its inception, volunteers have been an integral part of our organisation. Feeding and caring for 300-400 animals on a daily basis is no small task, which is why CROW welcomes the skills, experience and enthusiasm of both local and international volunteers at its centre. Volunteering is a great way to give back to your community, meet new friends and learn new skills! Local volunteers are always very welcome here at CROW, regardless of if you’re looking to volunteer with us regularly or as part of a once-off work experience placement or event. To find out more about CROW’s local volunteer programme and request an application form, please click here to contact us. Please Note: While we aim to give as many people as possible the opportunity to volunteer with us here at CROW, we also want to ensure we can offer you a fun and meaningful volunteering experience – there is nothing worse than a bored volunteer! Therefore on weekends, during school holidays and at other busy times of the year, it may be necessary for us to place a maximum limit on the number of placements we can offer on a first come, first served basis. Volunteers are needed at CROW throughout the year. However, peak period for us is our Spring and Summer months (September – March) when we are inundated with babies and busy with releases. However, please bear in mind that this is also our hottest time of the year! 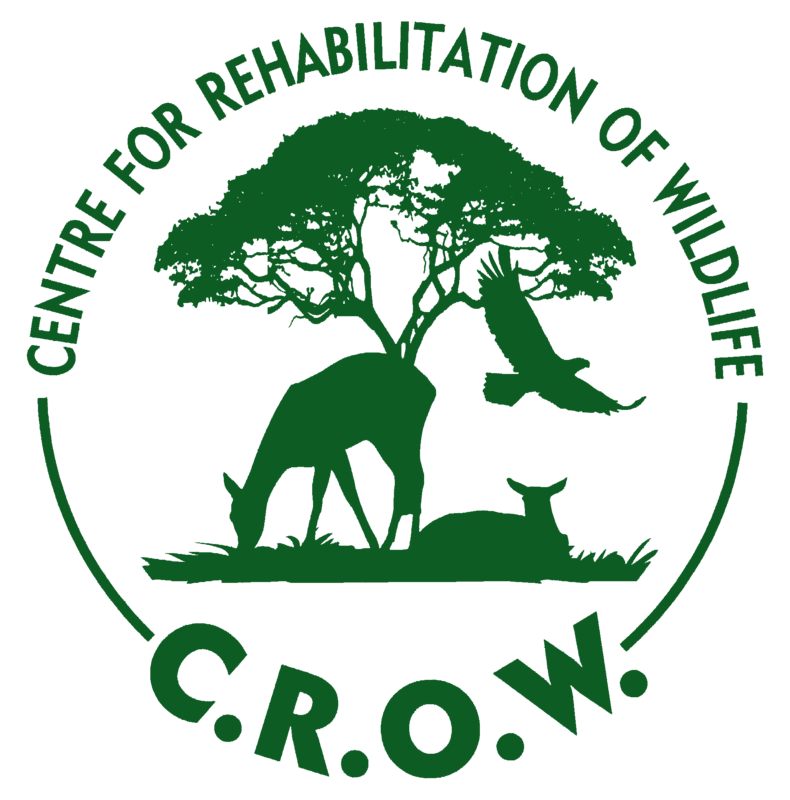 CROW is registered to work with all species of wildlife indigenous to KwaZulu-Natal. We have a large selection of animals under our care, ranging from primates and mammals to reptiles and antelope. Volunteers assist staff with the day to day running of the centre. Main activities include feeding and caring for the animals, ensuring their enclosures are cleaned on a daily basis and helping the team with general maintenance around the grounds and enrichment programmes for the animals. Where ever possible, volunteers are also given the opportunity to assist staff on wildlife rescues and releases. Crow is proud to welcome international volunteers to our centre throughout the year. The team at CROW is continually in awe of the many caring individuals from around the world who give up their time and leave their homes and families in order to come help us care for our injured, orphaned and displaced wildlife. CROW provides and exciting, once-in-a-lifetime volunteering experience where volunteers can not only learn about local wildlife rehabilitation and conservation with all its challenges and complexities, but also work alongside our team on a daily basis assisting with wildlife rescues and releases and taking care of the 300-400 patients that are housed at our centre at any given time. CROW can accommodate up to 13 international volunteers at a time. Volunteer accommodation is provided on the centre’s ground which means our volunteers do not need worry about getting to and from work everyday as the clinic is a mere 200 metres away ! To find out more about our international volunteer programme and request an application from, please click here to contact us. You will need a visa to enter South Africa. Please check the South African embassy in your country for full information. You do need travel insurance. In South Africa, you need to pay for any doctors’ visit or medical assistance. If your insurance provides it ask for a medical aid card as these are accepted in South Africa. Durban is Africa’s largest and busiest port and is a melting pot of African, Indian and British cultures.n Durban is ideally situated as a departure point to many of the Province’s fine tourist attractions. Including; the majestic Drakensberg mountains; the world-famous Big 5 Game Reserves of Zululand, history-drenched Battlefields where the Zulu’s fought both the British and the Afrikaners; the Midlands Meander route and a resort-dotted coastline that stretches in both directions. The Durban seafront is known as The Golden Mile, offering golden beaches and the warm Indian Ocean current. Beaches are protected year round by shark nets and expert lifeguards. It is location for excellent surfing and at the end of the mile is the UShaka Marine World. Spanning over 15 hectares of prime beach front uShaka is Africa’s largest Marine Theme Park with a unique shipwreck-themed aquarium (one of the five largest in the world), a 1,200-seater dolphin stadium, a sea pool, penguin rockery, snorkel reef, touch pool and interactive activities in the dive tank. I had the most wonderful experience here, it was a lot harder than I anticipated but with the guidance from the CROW team and the other volunteers, it was an experience that I will never forget and I have memories to cherish! ” Tell me and I’ll forget; Show me and I may remember; Involve me and I’ll understand.”Little did I know when I came to C.R.O.W for a hands-on experience with wild animals as part of my studies. The experience is life changing and one that I will take with me where life takes me next.The team from the warm and ever smilling ground staff to the management are very awesome, welcoming and always helpful. It is great meeting new people from different backgrounds and sharing the experience together. A saying holds true here,” You come as a friend and leave as family”. Every minute is worth it and it does not go unappreciated, the most rewarding and memorable experience I have had. I came through to help with Marketing and Fundraising and fell in love with CROW’s mission and the dedication of the staff. It saddened me to see how difficult it is to get funding for animal welfare in South Africa. I hope my efforts and the efforts of those to come help shine an international light this worthy cause.